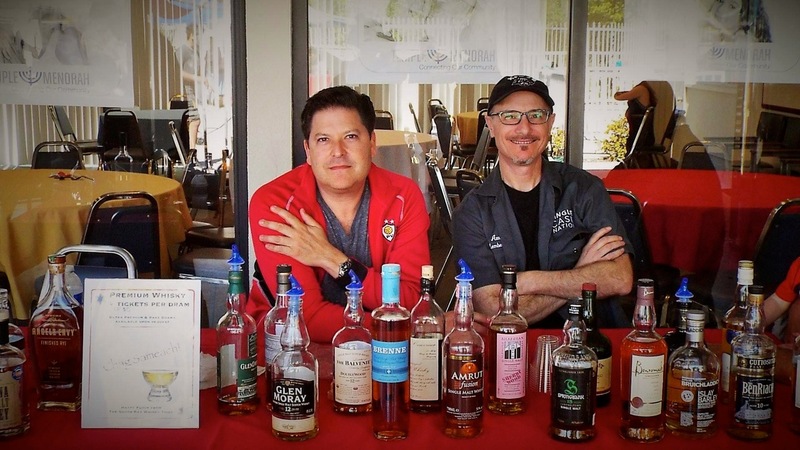 Click here to read Part I which recounts my experience at the LA Whisky Extravaganza along with the back story about how this little trip to the West Coast came to fruition. And click here to read Part II which tells you all about our post LA Whisky Extravaganza gathering at Seven Grand. In bed by 2:30AM and up by 6AM. 3.5 hours sleep is normal right? I could blame the West Coast Office‘s (WCO) noisy icemaker for my lack of sleep, but where’s the fun in that? I’ll just chalk it up to being excited about spending an entire day sampling a wide variety of food and drink with friends. Once the WCO got the kids off to school (much like Limpd, the WCO is a father of three), we headed out to the Redondo Beach Cafe to have breakfast with our friend Lee, who along with the WCO is co-founder of the South Bay Whisky Tribe. Yes, the coffee was a bottomless pour, my Eggs Over Easy were cooked to runny perfection, and the caraway studded Rye was served exactly how I like it: with so much butter that it was seeping through to the underside! And yes, our waitress called us Sweety, Honey, and Dollface like a proper diner waitress should. Ok, so maybe I made up the Dollface part. 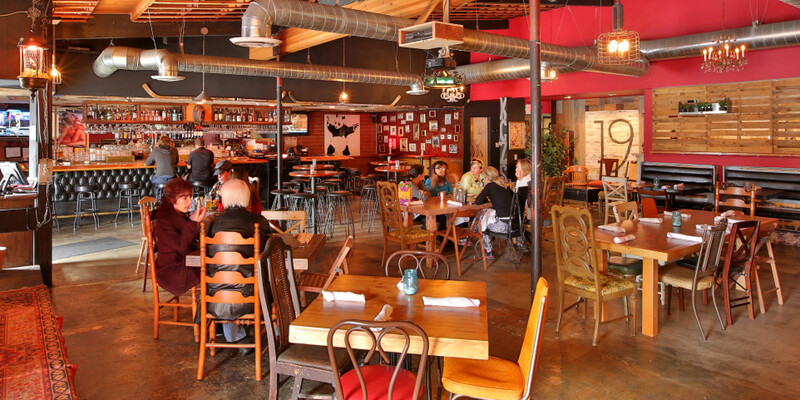 So, what makes Redondo Beach Cafe different? I would say that it’s the little things, but that’s not the case. Los Angeles Kings hockey memorabilia abounds and Montreal specialties like Poutine and Smoked Meat are front and center on the Lunch/Dinner menu (pity I didn’t get to try them). They also feauture Greek specialties like gyros, spanakopita, and souvlaki. The owners are Greek Montrealers and cover all the Great White North-Mediterranean bases. Hell, they even have Ballast Point Sculpin on tap! Replace the LA Kings with the Philadelphia Flyers and we would wholeheartedly welcome a South Jersey chapter since our neighborhood is in desperate need of a high quality, local diner. Since this was an ordinary breakfast and not an over the top breakfast buffet or brunch, we didn’t linger all that long. Once we were all finished up, Lee went back to work while the WCO and I looked for somewhere to grab a beer. According to the WCO, Craft Breweries have been popping up all over Torrance, CA. A quick search on Yelp showed that there are at least 13 Torrance establishments using the word “brewery” in their name, so I guess the WCO knows what he’s talking about. What he didn’t know at the time but knows now is that most of these places don’t open before 4PM. Luckily, a little brewery in a small industrial park called Absolution Brewing Company was most definitely open, so that’s where we went for a bit of beer tasting and conversation. If you didn’t know it was there, you would most definitely drive by the place since it’s essentially a big warehouse that just happens to have a brewery inside. They also have a small bar area with twenty taps and two hand pumps. Since we arrived just before noon, we were the only customers, so there was plenty of room for us at the bar. As luck would have it, the woman working the taps (Jane Heath) is also the person responsible for all of the artwork at the brewery. She is also married to one of the owners (Nigel Heath). When it came time to sample some beers, I was on my own since the WCO isn’t a beer drinker (they did have Root Beer on Nitro, so I guess he technically did join me for a frothy beverage). During our time at Absolution Brewing, I tried four different beers. I wish I could tell you about each of them in greater detail, but since this trip was well over five months ago, I don’t remember all that much about them. I know that I had some sort of Pumpkin Ale (a Stout perhaps? ), a Sour Ale, and a Session IPA. Of the three that I remember, the Sour and the IPA were quite quaffable, while the Pumpkin Ale just didn’t do it for me. After a few minutes of working through some beers and chatting with Jane, we were joined by her husband Nigel who in addition to being a brewer and beer lover is also a big fan of what beer wants to be when it grows up, i.e. whisky. It turns out that we’re all fans of the peaty stuff, so the WCO and Nigel talked extensively about their time spent on Islay. With the two of them overflowing with enthusiasm for all things Islay, one couldn’t help but be parched by the end of the conversation. Thankfully, our next stop would help to quench our thirst a bit. As we were leaving Absolution Brewing, the WCO received a text message from Lee, asking if we’d like to stop over for a brief whisky tasting. Since the WCO and I were raised right, we graciously accepted Lee’s invitation and headed on over to his place for an early afternoon whisky amuse-bouche! Much like the WCO and Limpd, Lee has a plethora of whisky on hand. A good problem to have for sure, but the downside is trying to decide what to drink. I mean, since it was still relatively early, and since we had plans to go out later that day, we had to show a bit of restraint. 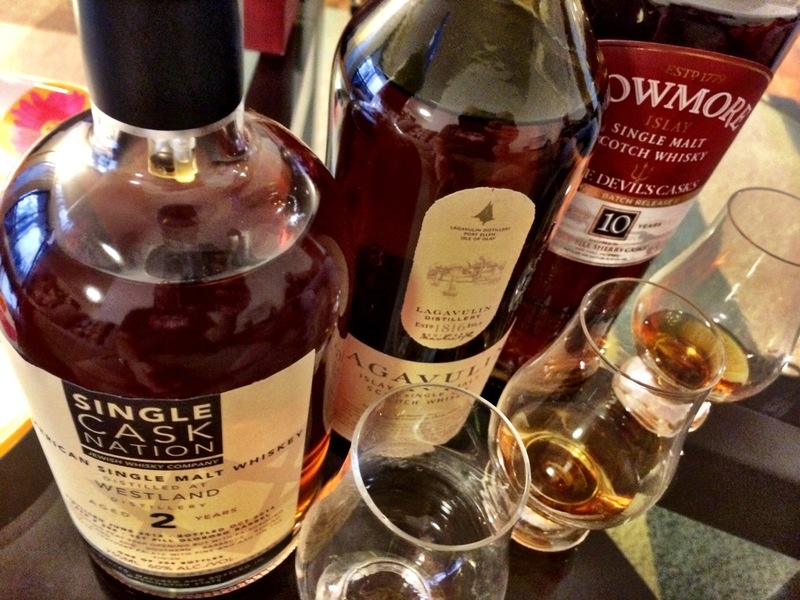 Thankfully, Lee is much more decisive than the WCO and I, so the three whiskies in the above photo were what we would be tasting: a 2 YO Westland bottled by Single Cask Nation, something from Lagavulin (I think it was acquired in Scotland), and a 10 YO Bowmore called The Devil’s Casks. Lee was particularly enthusiastic about the Westland and thought that it was as close as anyone has come to producing an Islay style whisky in the United States. The WCO and I didn’t find it all that peaty but were amazed at how easy it was to drink it given its youth (just 2 years old) and high ABV (60%!). As is usually the case, the Lagavulin was delightful, but it was the Bowmore that stole the show. Its intense peatiness and rich, fruit forward Sherry notes were a fantastic combination of flavors. My only regret is that I didn’t bring along an empty Boston round so that I could take home a sample. While we would have loved to stay longer, Lee had to get back to work, so we headed out in search of more drinks and snacks. Small: From Tuna Tartar to a Grilled Cheese Sandwich served with a side of Tomato Bisque. Slabs: Cheese or Charcuterie plate. Salads: Does this really need explaining? Somethin’ Somethin’s: From Burgers to Osso Bucco. Since this was going to be a short visit, we ordered the Tabled Tartar (hand cut, sushi grade ahi tuna, ponzu, avocado, micro cilantro. garlic sambal) and a Cheese Plate. Both snacks were delicious, but if I had to pick one over the other, I would totally go with the Tabled Tartar which was a really interesting combination of flavors and textures. I particularly enjoyed how the soft and creamy avocado played with the firm, fresh Ahi Tuna. We should have ordered two of these! I mean, how much can you really do with a cheese plate? While I was tempted to order a beer or whisky, I decided to take it easy on this stop since there would be more eating and drinking that night, so I stuck with an unsweetened iced tea. The WCO went with a glass of Bruichladdich Scottish Barley. While we were working through our midday snack, the bar manager and owner stopped by to say hello and chat with the WCO. Hey 19 Public House is walking distance from his house, so the WCO has become quite the regular. During his tenure as the Norm of Hey 19, he has helped them expand their whisky inventory by exposing them to lesser known and somewhat harder to find whiskies. It’s nice to see a restaurant moving beyond the Glenlivet / Glenfiddich / Macallan that you usually see behind the bar. At around 4PM, we headed back to home base for a bit of rest and to finalize plans for later that evening. A mini Pub crawl of sorts was forming. Lee was scheduled to meet us at 6:30 where we would have an Uber drive us to Tom Bergin’s Public House in West Hollywood where Whisky Guy Rob would be waiting for us at the bar. Wow! You have already described more drinking in a day (and it isn’t even evening yet) than I do in a week, maybe two!